The complete Board of Education policy manual is available for online reference. If your participation may require Board action or you would like to request Board action during your presentation please refer to Board Policy BDDH for requirements (see below). You will need to compete the public participation form (also linked below) and submit it to the Office of the Superintendent at least seven days prior to the Board meeting in which you would like to present. If your comments are not going to request an action by the Board of Education, you do not have to submit your request to the Office of the Superintendent. You will have the opportunity to sign-in for "Public Participation" once you arrive to the board meeting chamber by completing and submitting the form below. Each month, our Student Achievement Liaison will post updated, published studies and reports related to student achievement. You can review each of the postings on our Student Liaison page. 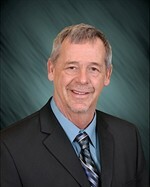 Mr. Schutte began serving on our Board of Education in January 1998. 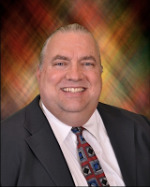 He is currently in the second year of his sixth term, and was voted to serve as Board President during the January 2019 organizational meeting. He and his wife Kim, along with their children Michael, Matthew and Nicole, are all Hamilton Township High School graduates. Mr. Schutte now has grandchildren attending the district. David works for YRC Worldwide, and also volunteers his time at various events in the district. Mr. Jankowski is currently serving the fourth year of his third term, and was elected by his peers to serve as Vice President of the Board of Education during the January 2019 organizational meeting. 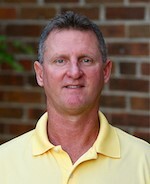 Joe graduated from HTHS in 1976 and attended The Ohio State University from 1976-1983. He is retired from the U.S. Postal Service and now owns his own voice-over business. Joe and his wife Kathy have two sons, James and Gregory, both graduates of Hamilton Township High School. Many of you may have heard his recognizable voice on the PA at a plethora of district events. Joe is working to continue the upward progress in student academic performance. Mrs. Hallum is currently serving the fourth year of her third term. She graduated in 1982 from Eastland Career Center and HTHS, and currently works at The Ohio State University School of Dentistry. Pam and her husband Roger have had three children graduate from Hamilton Township High School. Pam continues to promote community participation in our schools, support fiscally responsible decision-making, and focus on continued improvements to our district’s academic scores. Mrs. Clark is currently serving the second year of her first term. 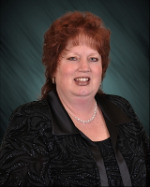 Amber was re-elected to serve as our district's Legislative Liaison during the January 2019 organizational meeting. 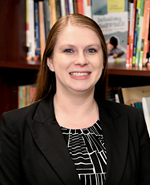 Mrs. Clark completed her Bachelor of Science degree in Human Development and Family Studies from The Ohio State University in 2009, and earned a Post-Bachelor Teacher Licensure from Capital University in 2011. Amber is currently completing graduate coursework at The Ohio State University. Mrs. Clark has worked as an Intervention Specialist in the South-Western City School District since August 2011, while holding leadership positions in her building and department. She has received multiple awards for her efforts in the field of education. Amber and her husband, Graham, are proud parents of three young Rangers, Kaleb, Kamryn, and Kyah. Mr. Sewell is serving the second year of his first elected four-year term. He was elected by his peers to serve 2019 as the district's Student Achievement Liaison. Jeff also received the 2015 OSBA Central Region "Friend of Public Education" award. Mr. Sewell, his wife, Susan, and their daughters, Hannah and Hailey, are graduates of Hamilton Township High School. Jeff retired from UPS after working with the company more than three decades. He has also been a local business owner for more than 15 years, and continues his family's nearly century-long commitment of volunteering in our community. Mr. Sewell is focused on continuing our academic success by working with district leadership to address challenges and needs that will provide more opportunities for each student in our district. Get all Board of Education meeting agendas & minutes by clicking the Board Docs logo above.